Impact Report on lighting relative to the U.S. China Trade Deficit – Featured on GREENandSAVE. The U.S. government can lead by example to save over $1 billion each year, just by changing the lights across the 3.4 billion square feet of federal real estate. Buildings across America consume 40% of US energy, and lighting typically accounts for over 25% of building electricity. Light Emitting Diode (LED) technology saves 50% or more on electricity over traditional lights. Maintenance and air condition cost reductions are added benefits to LEDs. Utility rebates help reduce the cost of LED retrofits, but the rebates are projected to come down in many markets in 2018. To date, U.S. companies and government agencies have typically changed less than 10% of their lights to LEDs. Quality concerns with Chinese LEDs and limited 5-year warranties have stalled LED adoption to date. Complexity of beam angle, color, and smart controls have also stalled LED adoption to date. LED paybacks typically come in under 3 years, which is a higher ROI than other energy technologies, but many companies and federal agencies have not budgeted for LED retrofits. Facility managers often still use outdated fluorescent tubes to replace the old ones that burn out. According to the US Energy Information Administration (EIA) there are over 87 billion sq. ft. of commercial real estate in the U.S. At an average of $1 per sq. ft. to retrofit and one new job created for every $150,000 in lighting retrofits, the employment ripple effect is over 580,000 new jobs. The employment includes counting lights to prepare savings analysis, utility rebate administration, installation, project management, engineering, and product production. Many of the jobs involve Science, Technology, Engineering, and Math (S.T.E.M.) so the clean-tech work is foundational for 21st century careers. The national energy savings will exceed $287 billion over the next decade and yield over 3.4 trillion lbs of CO2 emissions reduction, the equivalent of taking about 30 million cars off the road. As a sub-set of these advantages, the U.S. federal government uses over 3 billion sq. ft. of real estate, so LED retrofits can save tax payers over $1 billion every year, and create over 20,000 new jobs. President Trump’s April 18, 2017 “Buy American and Hire American” Executive Order (https://www.whitehouse.gov/the-press-office/2017/04/18/presidential-executive-order-buy-american-and-hire-american), called for submissions from the agencies by Friday, September 15, 2017. Sec. 3. (b) Within 150 days of the date of this order, the heads of all agencies shall: (iii) develop and propose policies for their agencies to ensure that, to the extent permitted by law, Federal financial assistance awards and Federal procurements maximize the use of materials produced in the United States, including manufactured products; components of manufactured products; and materials such as steel, iron, aluminum, and cement. (d) the heads of all agencies shall submit findings made pursuant to the assessments required by subsection (b) of this section to the Secretary of Commerce and the Director of the Office of Management and Budget. #1: Close the current loophole. The Trade Agreements Act (TAA) allows for the U.S. government to purchase products made in Taiwan with components from China. In 2009, Taiwan was accepted into the TAA. For the purposes of the “Buy American and Hire American” Executive Order, this loophole will not help meet the goals of the Executive Order of creating jobs for Americans. Some lighting companies are incorrectly claiming that they meet BAA Compliance because of TAA Compliance. BAA and TAA are not interconnected in the way that manufacturers may hope. Some U.S. federal agencies may accept TAA, while others require BAA. To meet the domestic job creation goals of the “Buy American and Hire American” Executive Order, the U.S. government should simultaneously enforce BAA where it is mandated and require BAA wherever it reasonably possible over TAA procurement. #2: Define “Made in America” for federal purchases of LED lighting. The Leadership Council of the American LED Alliance recommends identifying substantial material transformation as the criteria based on the Buy American Act (BAA) and U.S. corporate ownership for qualifying manufacturers. For LED lighting, the minimum for “substantial” material transformation should include the placement of diodes on printed circuit boards vs the import of fully stuffed boards. Added considerations should be given to U.S. LED manufacturers that go beyond the minimum transformation to extrude metals for heat sinks, bend metals for fixture housings, extrude polymers for lenses, etc. The U.S. ownership aspect is key in conjunction with the substantial material transformation, because if qualifying companies pay taxes in the U.S., then Chinese companies are prevented from just opening up shell production companies that “assemble” lights without the full job creation benefits of the authentic U.S. manufacturers. If and when qualifying U.S. LED manufacturers go beyond BAA compliance and provide over 50% domestic content by cost, then those manufacturers and their respective LED products should be included as possible bid set-asides by procurement officers given that the ripple effect of job creation is higher for Americans producing the sub-components. Set-asides to date for small businesses, veterans, minority business enterprises and many other categories, have given the U.S. government a means to encourage participation at meaningful levels. Set-asides for some portion of LED procurement (such as 20%) with a majority of U.S. content is in line with the intent of the “Buy American and Hire American” Executive Order. The low percentage is a balance point that encourages manufacturers to increase the levels of domestic components, without adversely restricting procurement choices by the agencies. The U.S. government does not have the time and resources to police each aspect of every type of product made in America, including LED fixtures, sensors, and controls. 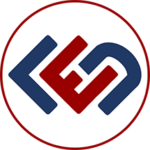 The Leadership Council of the American LED Alliance is prepared to alert the procurement officers at agencies when and if the Council discovers foreign or domestic enterprises that are not accurately representing their products relative to the Executive Order. #3: To maximize return on investment (ROI) for US tax payers. The Leadership Council of the American LED Alliance recommends that the federal agencies start retrofitting the lighting in the areas of the facilities that are running around the clock and in above average cost / kWh states. The 24×7 “mission critical” areas often include exit stairs, emergency egress lighting, military bases, and the massive footprint of Veteran Affairs hospitals and clinics. The above average cost of electricity areas typically include the northeast corridor (Washington, DC to Boston, MA), which has over 50 million of the 325 million Americans, and the west coast, with California that has 40 million Americans. The mission critical areas are all across the U.S. so there is no shortage of areas that warrant LED retrofits as soon as possible. #4: Tread carefully on Tariffs. The Leadership Council of the American LED Alliance recommends that the U.S. exhibits caution in adding tariffs to all imports from countries like China. As an example, the vast majority of diodes in light-emitting diode fixtures are still manufactured in China. The same is true for the drivers that power the LEDs. These examples of components used by American LED manufacturers should not have the same level of tariff, if any, as the finished lighting goods from China or other countries. For perspective on the evolution of LED lighting, specifically as it relates to U.S. manufacturing, savings, and job creation, the writings and initiative included below were spearheaded by the Leadership Council Chairman of the American LED Alliance, Charlie Szoradi, dating back to 2009.